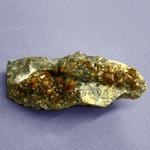 Grossuliare is name Garnets of chlorine, rather yellow, copper-brown or brownish color. 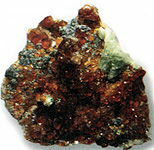 The saturation of colouring is determined a concentration in these minerals of ions of ferrous iron. If them quite little (less than 2%), grossuliares is almost colourless. 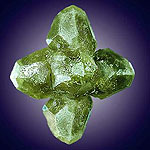 The admixtures of chrome give grossuliareм a bright green colouring. 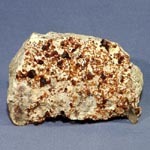 The name of stone happened from the Latin name of gooseberry (ribes grossularia), as crystals remind his garden-stuffs the tint. 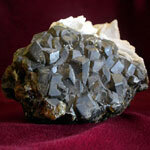 The crystals of grossuliares have 12 rhombic or 24 trapeziform facets. The best grossuliares supply to the world market Sri Lanka and Burma. 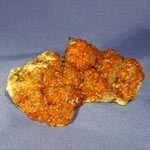 Grossuliare find in austrian and swiss Alps. In Russia the deposit of grossuliares was opened in Siberia on the river Vilyuy. As well as many varieties of pomegranates, grossuliares is usually small on sizes. 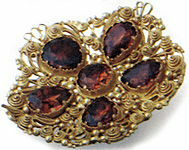 The transparent stone of jeweller quality name here noble grossuliareми. 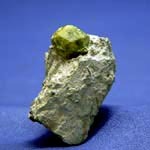 In 1968 in marbles Kenya and Tanzania was discovered vanadium Grossuliare of green color of different intensity and tints - from colourless, inconspicuous-green, bluish-green to intense-green (emerald). 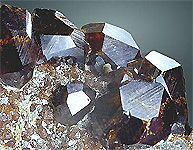 Littletransparent different size crystals of grossuliare, having a form of rhombic-dodecahedron shape, tetraoctahedron and other, enough rarely used as a jeweller stone. 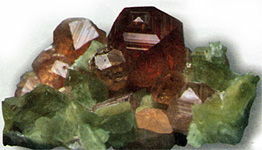 Present interest of light-green Grossuliare from Pakistan (Asia), known under the name a "pakistani emerald", transparent brownish-green Grossuliare from Yakutia (CIS) and some other. 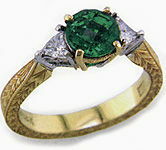 Opaque green stone have the own name. They are named by гидро-grossuliareми and sometimes use in inexpensive decorations. 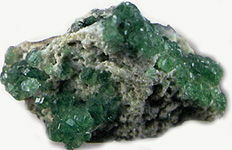 Be found as massive dense aggregates of green, white and rose color. Hydrogrossuliare usually opaque, transparent in thin chip split, sometimes semilucent, separate sets are transparent. 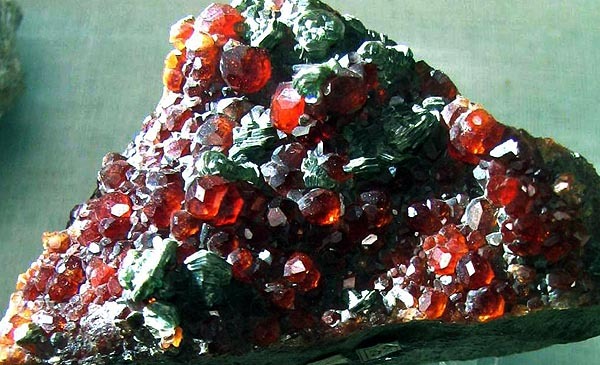 Magic properties Garnets grossuliare is similar with magic properties of group of stone of green color. 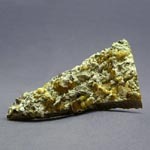 It is neutral stone which harmonize and calm. 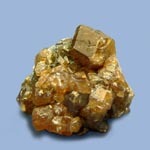 Grossuliare of the honey colouring is named Hessonites.